If you bombard your customers with repeated mails or phone calls, he may get exasperated with your company and refuse to speak to you in the future. A few more calls and he will put your company on the no-call list. If you push him too much, he may even lodge a complaint against you. It is clear that calling customers incessantly can make them angry. If are a client facing organization, you can imagine the damage to your business from such shoddy work. Some of these calls occur because of duplicate data. Basically, when you are handling a lot of data, there are bound to be repetitions. If the collection is especially large, there will be many instances of duplicate data. This not only bloats the collection but also results in potential customers being bombarded with messages. We know you didn’t mean to offend the customer. But it occurred and now you have to face the music. The only way out is to get rid of duplicate data. If you are facing problems with duplicate data, don’t worry. We can help. Our data deduplication services have helped tens of companies ensure the duplicate names in their database and addresses are removed, leaving documents clean and crisp. 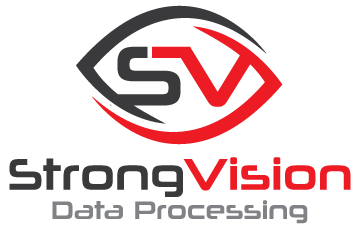 Strong Vision Data Processing has proprietary software that can identify and highlight duplicate data. The software finds duplicate data even if it is misspelled, has missing values or is under a different address. We have a slightly different process for mission critical data. In that case, we will manually review the data and update the database accordingly. So we have a solution for mission critical data too. Imagine the good this service can do for you. No more inadvertent calls and messages to the same person. No more angry clients. No more complaints. Is this system safe? Can I trust you? Our system and processes are absolutely safe. 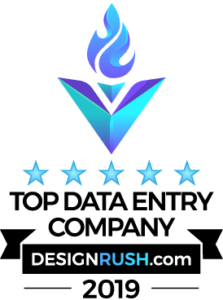 Each client gets the highest level of data protection through third party services. We adhere to strict data protection guidelines, accompanied by industry best guidelines to ensure your data remains safe at all times. All data is placed on secure servers and these can be accessed only by project team members. It doesn’t end here. After your project is completed and we have delivered the file to you, it is backed up, compressed and encrypted. After this, only the system administrator can access the file. Everything else is shredded and no one can recover it.